When an automaker like Porsche makes a decision, you can expect they will try to be the best ones. And this is exactly what is happening with the release of the new 2020 Porsche Taycan. 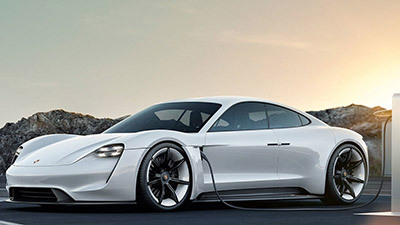 Porsche decided that wanted to enter the electric market and that wanted to defy the best automakers like Tesla. So, Porsche is releasing their new 2020 Porsche Taycan which was once known as Mission E concept car. Despite the strange name, the automaker is making everything in their power to make the 2020 Porsche Taycan a true success. 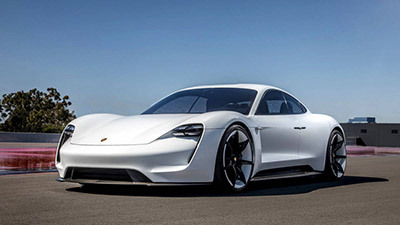 The 2020 Porsche Taycan was firstly seen at the 2015 Frankfurt Motor Show as the Mission E concept car. Finally, the automaker is adding the final touches and we should see the 2020 Porsche Taycan arrive dealerships still this year. While there isn’t information about the price of the 2020 Porsche Taycan from the automaker, Porsche stated that the Taycan should be priced between the Cayenne and the Panamera in Europe. 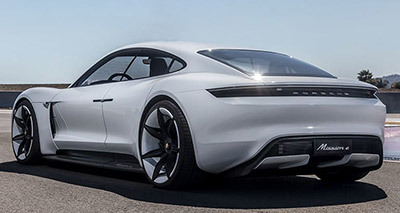 As we already mentioned, the 2020 Porsche Taycan derives directly from the Mission E concept car and we can see a lot of similarities between the two. The 2020 Porsche Taycan should feature an organic look with fewer air ducts and grilles that you usually see in a Porsche. After all, the 2020 Porsche Taycan is a full-electric car and it certainly doesn’t need all those oil and radiator coolers. 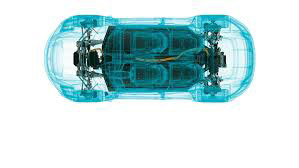 Looking at the front of the 2020 Porsche Taycan, you can see bright LED headlights. One of the things that you will notice is that the side mirrors are non-existent or, at least are very small. This is because the automaker is replacing them with rear-facing cameras. On the back of the 2020 Porsche Taycan, you will notice that is a lot cleaner without the exhaust trims. Under the hood, the 2020 Porsche Taycan includes a total system power of more than 600 of horsepower. 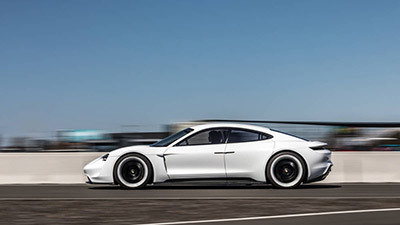 According to some rumors, the new 2020 Porsche Taycan should have two options in terms of battery packs. One should offer around 80 kWh and another one should offer about 95 kWh. So, in case you are looking for more horsepower, just choose the second battery pack. 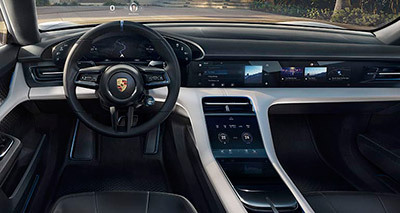 In terms of the interior of the new 2020 Porsche Taycan, you should expect to see an additional touchscreen in the center console as well as a single widescreen digital driver’s display. So, the interior of the new 2020 Porsche Taycan will be different from the Panamera’s interior. While there seems to be plenty of space for both front and rear passengers in terms of the legs, we can’t say the same about the heads. After all, the sloping roofline does take some space for the heads, especially on the rear seats.